So it seems that everyone around me is getting a new puppy. There are adorable photos of Cavoodle’s, Dalmatian’s, Jack Russell’s and Cattle Dog’s popping up in my Facebook feed all the time and it is making me a little puppy clucky. But then i think about how much work is involved in raising a puppy and remind myself that the four-legged ruler of our household, Beau, is a cranky old man and would not appreciate a puppy, so the puppy thoughts dissipate and I go back to admiring puppies from a far. However, since I am in puppy appreciation mode I thought it would be a good time to remind my readers about some things to think about before getting a puppy and of course what to do with a puppy if you get one. * Are you ready for the responsibility of a puppy? Hopefully it will be a long term commitment of up to 15 years so are you ready to care for your dog for that long? * Does your lifestyle (work, travel, social) allow for a puppy to fit into your schedule? A puppy takes up time, they need training and attention, so do you have that time to give? * Does your living arrangement suit and allow for a puppy? If renting be sure you can have a dog first. In unit or apartment complexes know the rules around pets. Is your yard and house safe for a puppy ensuring they can not escape? * Can you financially afford the commitment of a puppy? Dogs require care such vaccination, desexing, worming, flea treatments and accidents, injuries or illness can occur which can result in expensive veterinary bills. But if you have answered yes to all of these and you want a puppy, woohoo exciting times ahead as let’s face it puppys are adorable, squishy, balls of goofiness that will give you unconditional love. Apart from all the cuddles and play time here are some things to think about and do when you get a new puppy home. * Puppy Health – know their vaccination status (have they had any) and be sure to followup with their required vaccination program (which typically involves 3 vaccinations one month apart as a puppy). Ensure they are wormed for intestinal worms every 2 weeks until 12 weeks of age. Make sure they start a heartworm prevention program before 12 weeks and that they are on flea and tick prevention if required. * Indoors or Outdoors – decide on your boundaries / rules and stick to them. * Sleeping arrangements – where will the new puppy sleep? A dog crate is a great option as it is a small and secure place for them to have their bed and you can set it up wherever you want. For more information on crate training visit the vet-n-pet DIRECT Help Centre here. * Toilet Training – often one of the most difficult and messing things about having a puppy is teaching them where is appropriate to pee and poop. Teaching this to them is up to you. For some toilet training tips visit the vet-n-pet DIRECT Help Centre here. * Feeding – feeding your puppy a high quality balanced diet is essential as their little bodies and brains are developing and growing at a fast rate. There are many top quality pet foods on the market specially designed for puppies. A lot of puppies will come home with a food sample or suggestion of what they should be fed however I do recommend speaking to your vet at their first checkup if you aren’t sure what the best food is for them. * Microchip Details – most puppies will be microchipped before being take home but you need to ensure that you change those microchip details over to your name and phone number. The breeder or shelter that your puppy comes from should supply you with the paperwork otherwise check with your vet as they can scan the puppy to see if they are microchipped, help with the changing details or microchip them if need be. * Puppy Preschool – training is a great way to bond with your puppy and taking your puppy to puppy preschool will teach you how to train them and you will learn a lot about how to care for your puppy as they grow. And ultimately training your dog will make your life easier in the long run. 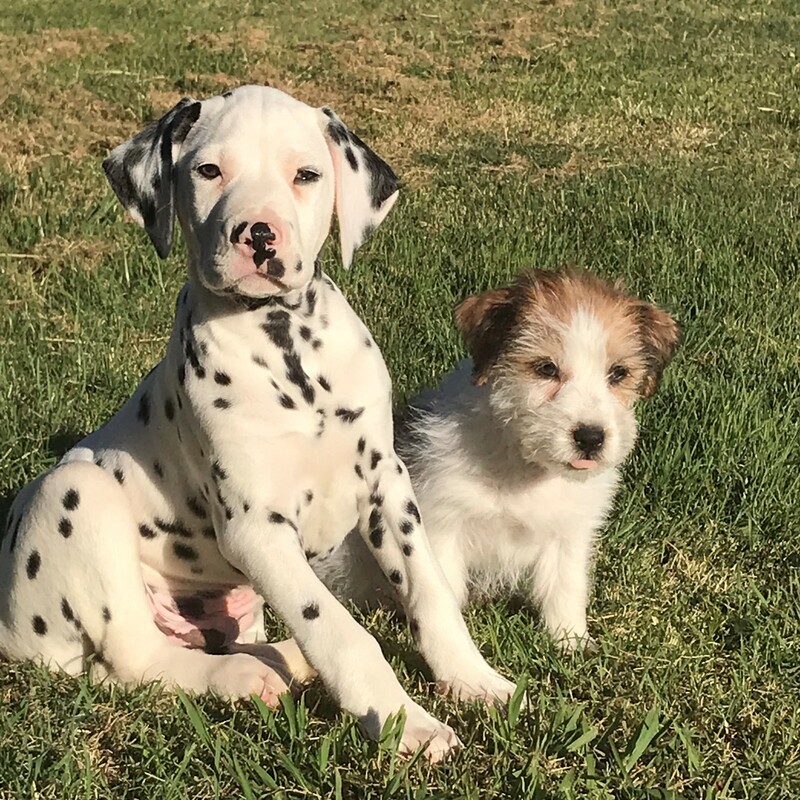 Having a new puppy in the household is such a fun and exciting time and if you can go into the process prepared it will take some of the stress out of it for both you and your furry friend. One other hint, be prepared to have no spare time as you will send it all playing, watching, cuddling and taking photos of your new puppy.